And do you have to be a certain age? These are all legitimate questions to ask, and everything you need to know if found right here. Believe it or not, age doesn't even factor into your Roth IRA eligibility. You can be two or one hundred and two - it doesn't matter as long as you comply with the rules below. In order to meet the Roth IRA eligibility rules, you must open your Roth IRA with an IRS-approved institution. It's not difficult at all to meet this eligibility standard. Most FDIC insured banks and credit unions as well as your major brokerage houses will meet the IRS benchmarks for "an approved institution." But if you're not sure, don't be afraid to ask the institution! The Roth IRA eligibility rules require you to fund your Roth IRA only with earned income (compensation). In order to contribute to your Roth IRA, you must file a tax return indicating you earned taxable compensation for the year of Roth IRA contribution. So what qualifies as "compensation"? Wages, Salaries, etc. - Wages, salaries, tips, professional fees, bonuses, and other amounts you receive for providing personal services are compensation. Commissions - An amount you receive that is a percentage of profits or sales price is compensation. Alimony and Separate Maintenance - For IRA purposes, compensation includes any taxable alimony and separate maintenance payments you receive under a decree of divorce or separate maintenance. Nontaxable Combat Pay - If you were a member of the U.S. Armed Forces for the tax year in question, compensation includes any nontaxable combat pay you received. Under the Roth IRA eligibility rules, you can make a Roth IRA contribution only if the contribution is made with after-tax dollars from one of the qualified forms of compensation outlined above. So what for forms of income are not eligible for Roth IRA contributions? 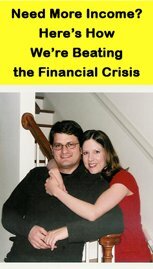 Capital Gains, Interest Income, etc. - Earnings and profits from property, such as rental income, interest income, and dividend income. Retirement - Pension or annuity income. Deferred Payments - Deferred compensation received (compensation payments postponed from a past year). Did you "work" in order to obtain the income? Did you provide physical or mental labor? Did you provide a service or sell a product? If so, the odds are good that you earned taxable compensation which you can use to make a Roth IRA contribution. But if you spent the past year stranded on a desert island, you probably did NOT generate "compensation," even though you might well have generated income in the form of dividends, royalties, and/or rent payments. Assuming you meet the first two Roth IRA eligibility rules - meaning you located an approved institution and you generated taxable compensation for the year in question - you still need to fall within the IRS income restrictions in order to be eligible to make Roth IRA contributions. $179,000 if you're married and filing a joint tax return. $10,000 if you're married, lived with your spouse at any time during the course of the tax year, and you file separate tax returns. $122,000 if you're filing as either single, head of household, or married filing separately and did not live with your spouse during any part of the tax year. $169,000 if you're married and filing a joint tax return. $0 if you're married, lived with your spouse at any time during the course of the tax year, and you file separate tax returns. $107,000 if you're filing as either single, head of household, or married filing separately and did not live with your spouse during any part of the tax year. If you earn somewhere in between the income limits for making the maximum contribution and making any contribution, the amount you can contribute is determined by the Roth IRA phase out rules. If you currently earn too much to make a Roth IRA contribution, all hope is not lost! In 2010, Congress eliminated the income limit for making a Roth IRA conversion. As a result, anyone regardless of income can make non-deductible Traditional IRA contributions, and then convert to a Roth IRA. If this describes your situation, you're NOT excluded under the Roth IRA eligibility rules. Seek the advice and guidance of a qualified financial professional in regard to funding your Roth IRA! The Roth IRA eligibility rules dictate the maximum dollar amount you can contribute to your Roth IRA for a given tax year. Your age and income determine the size of your maximum contribution. But if your income is higher than the threshold for making the maximum contribution, your contribution limit phases out toward zero. For instance, let's say you're 40 years old, married, and you earned $100,000 last year. Under the Roth IRA eligibility rules, you can contribute a maximum of $5,000 to Roth IRA. Because you earned less than the $169,000 limit for making the maximum contribution, and you're less than 50 years old. But if you earned $174,000 instead of $100,000, your maximum contribution limit is only $2,500. Because your income falls right in the middle of the $169,000 to $179,000 range for making a contribution, which means you can contribute half the amount you otherwise could have contributed. In this case, since you're under age 50, that's half of $5,000 - or $2,500. 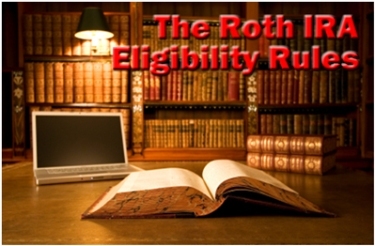 The Roth IRA eligibility rules are fairly simple and straightforward. Follow these Roth IRA eligibility rules, and you shouldn't have any problems opening and funding your Roth IRA.